2-4 Week Delivery. Click on Images for descriptions, catalog number. 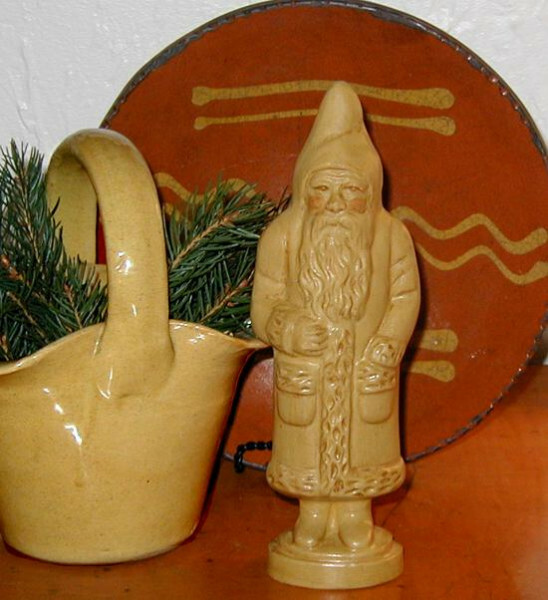 Each limited edition yelloware Santa and Belsnickle is hand crafted one at a time, first cast in chalkware using a wonderful highly detailed German antique chocolate mold. The piece is then handpainted with my Signature Yelloware finish, glazed with a light Rockingham glaze, antiqued and polished to give it the beautiful appearance of an early Yelloware pottery bowl. 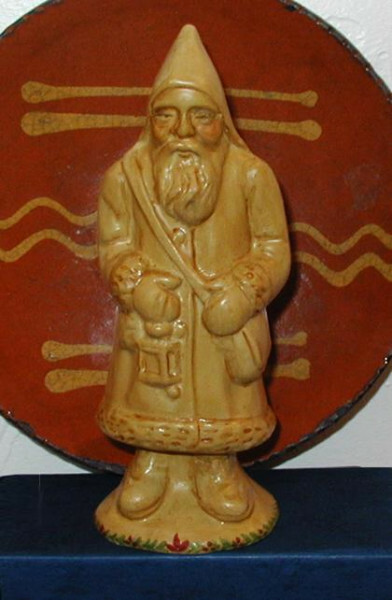 The Yelloware Santas display beautifully with Redware, spongeware, Salt Glaze Pottery or Mochaware. Please contact me to place an order, answer any questions, or if you'd like more information about any of the pieces.